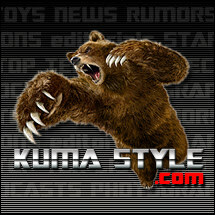 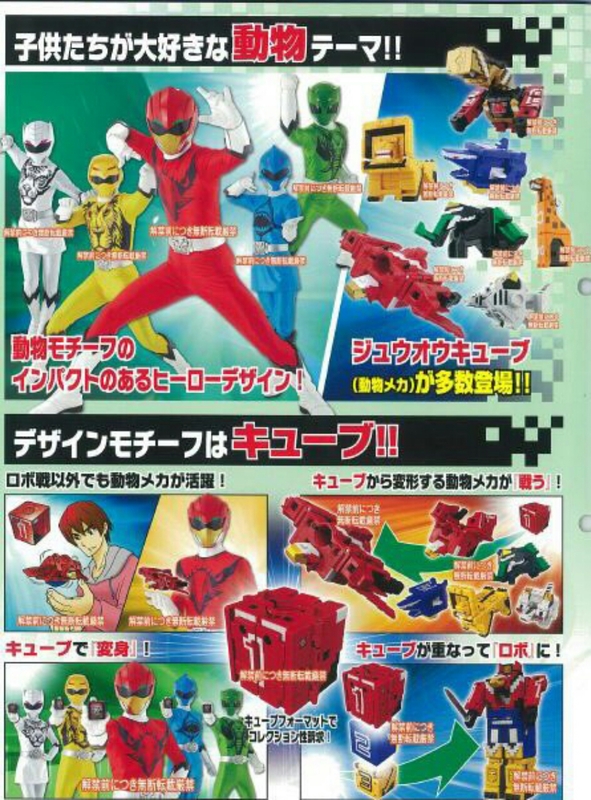 The first quarter toy catalog has been released for the 40th sentai team: Doubotsu Sentai Jyuuouger! 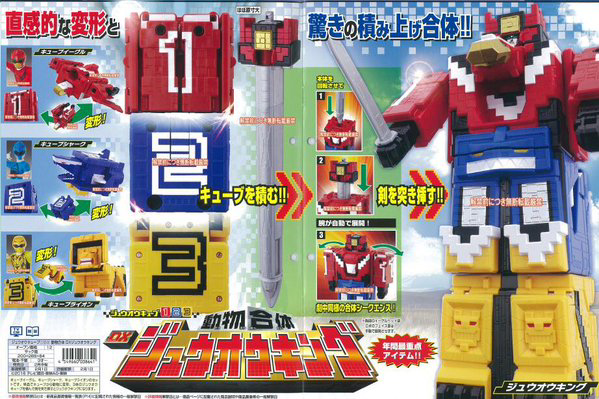 Initial thought: Minecraft meets Gaoranger. 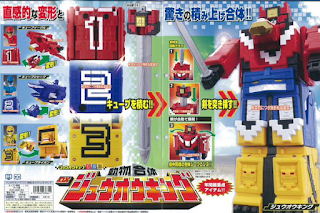 As you can see, cubes and animals are the theme. 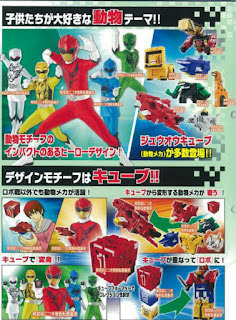 Though each team member hasn't officially been named, we can see that there is a white tiger, yellow lion, red eagle, blue shark, and green elephant/mammoth, and accompanying Jyuuou Cube animals.